New year and in the mood to knit, and here is my latest make. I really like it and think it will be great for trips to the seaside this spring (really i think i just want to look like the model!!) Any way it is a nice simple knit, which i find a must. If i get it done quickly i may try this next one after. Fabulous choices, Verity. Yup, roll on spring! What a beautiful sweater!! I like your word: Live. Love the blue jumper it's just so "seasidey"
That is fabbylous!! I love the bow :) did you use a pattern? Oh so pretty and perfect for the beach. I love the second one too, a lovely 50s vibe. "Hi Verity, long time no see! 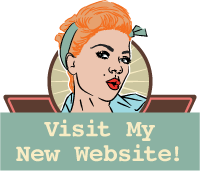 Me and Katie have been really busy sorting out the website etc. Hows it been at Greenwich? Bet it's been BRRR and have i missed anything? haha. 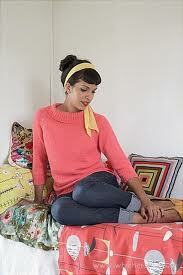 That jumper you are going to knit is amazing, I have a pattern, V back, and very 40s. I will photocopy it! I can't knit, maybe a scarf. Hope to do Greenwich friday, see you soon! Love Sue & Katie x x x"